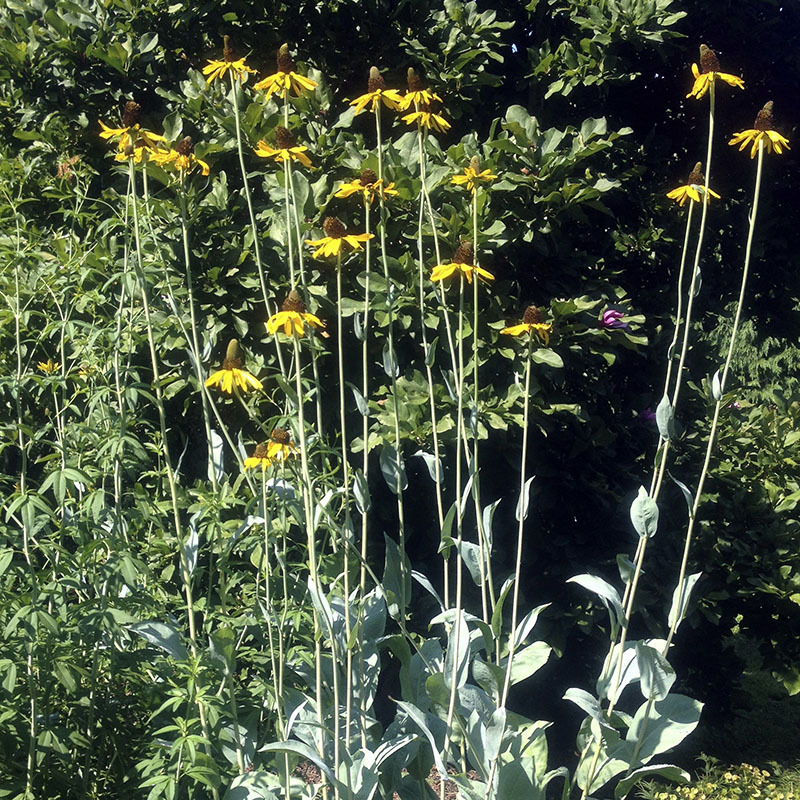 Large, glaucous, paddle-like leaves complement other finer textured perennials such as amsonias, coreopsis, and grasses. 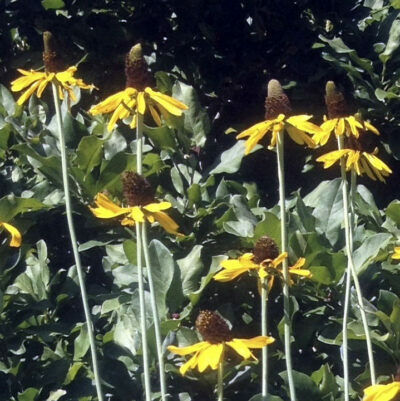 In June and July large, deep-gold ray flowers with a brown center cone bloom on sturdy, 3-5′ stalks. Attracts butterflies and provides food for birds. Seed heads are a favorite of gold finches. Reliable and deer proof. Full sun. 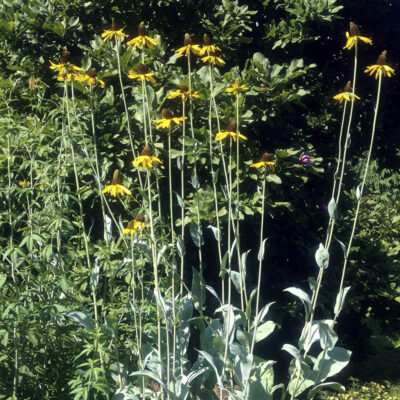 Thrives in hot, humid summers. Native Arkansas to Louisiana and into Texas. Height 5-8′. Spread 2-3′. Zones 5-9.